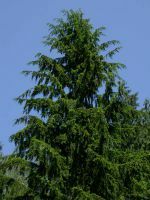 Trees to 50 m. tall, with a narrow crown, the leader and branches drooping. 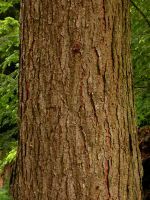 Bark dark brown to reddish-brown, becoming thick and furrowed, cross-ridged to form small scales; young branches with both short and long pubescence. 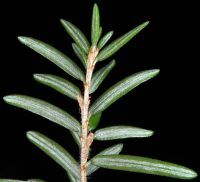 Needles flat, grooved, glossy yellow-green on the upper surface, white over most of the lower surface, 8-20 mm. 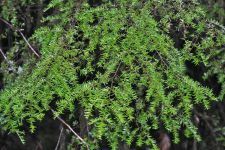 long, highly variable in length, spread at right angles to the branches. 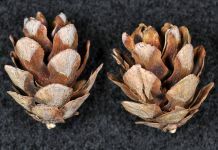 Staminate cones yellow, 3-4 mm. 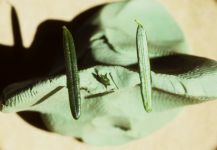 long, on short stalks near the branch tips; ovulate cones ovoid, 1.5-2.5 cm. 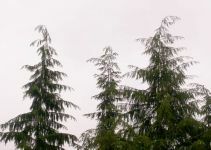 long, greenish, becoming brown, single at the branch tips. 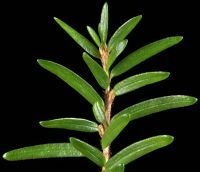 Publication: Silva. 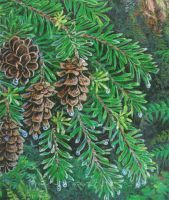 12: 73, plate 605. 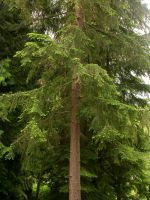 1898. 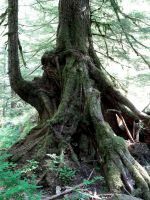 1898. 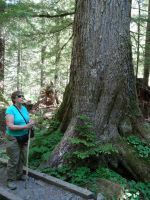 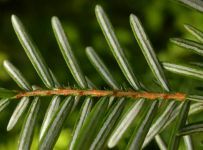 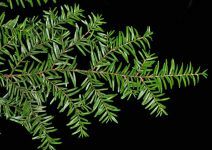 PNW Herbaria: Specimen records of Tsuga heterophylla in the Consortium of Pacific Northwest Herbaria database. 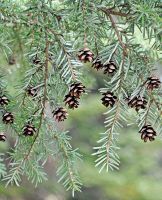 WA Flora Checklist: Tsuga heterophylla checklist entry. 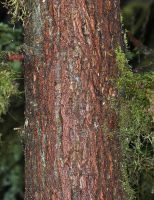 E-Flora BC: Tsuga heterophylla atlas page. 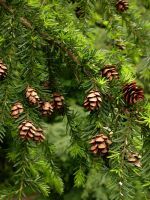 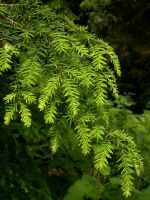 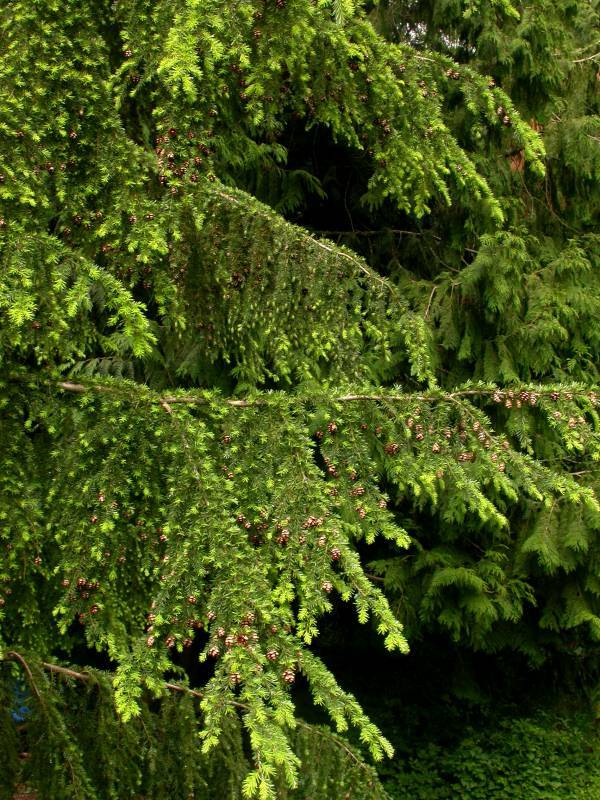 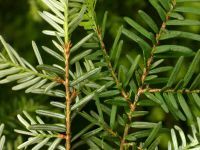 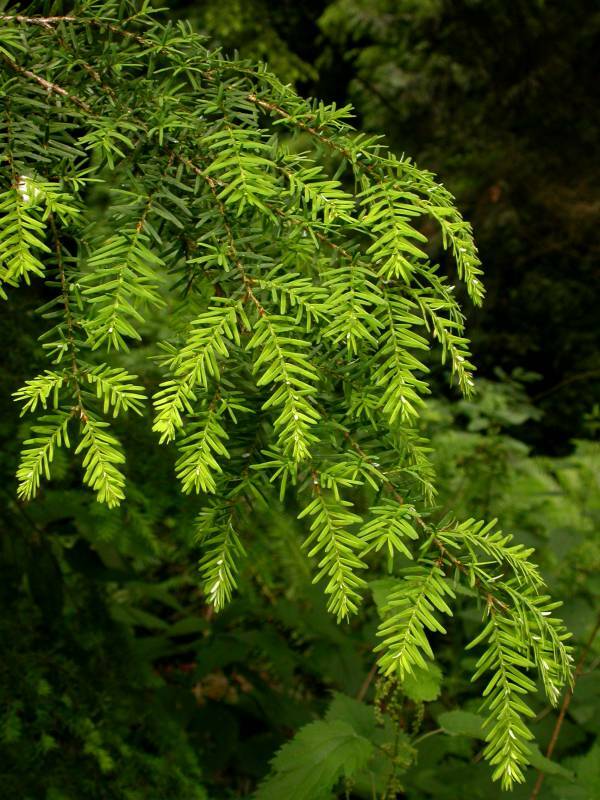 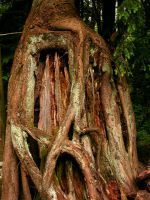 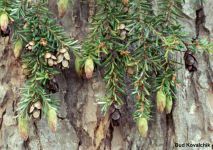 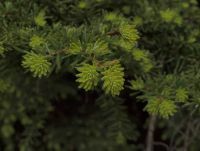 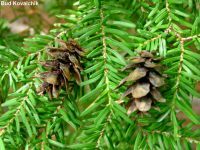 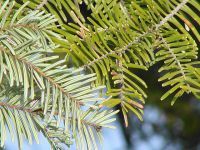 USDA Plants: Tsuga heterophylla information.